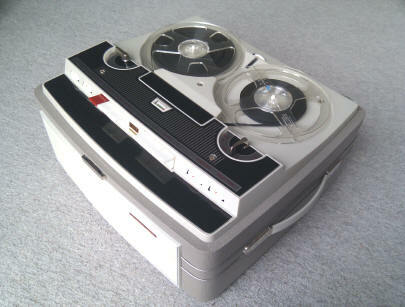 Retro, vintage and modern, reel to reel tape recorders for TV and Film Prop Hire. 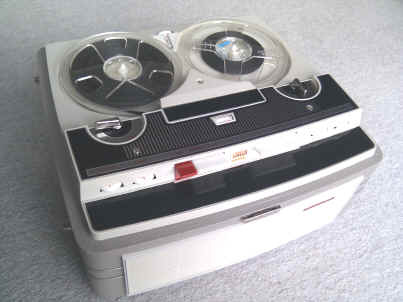 Hire is also available to domestic users who need a reel to reel machine on short term rental, to copy old tapes onto CD or hard disc. We can advise on exactly the right machine, whatever your requirements. The Stella ST459 dates from around 1965 and is brand new in it's original carton with all packing. 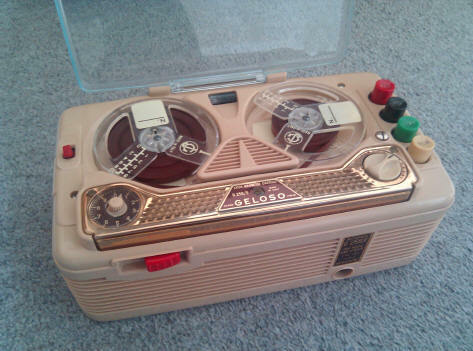 It has the original new microphone, a DIN lead and 7" spool of tape in their unopened packets. There is also a tape playing time calculator and the un-posted warranty card. It was rescued from a warehouse that was closing down who had the machine unsold from the time it was manufactured. When I connected it up it did play very quietly but didn't rewind - I have since replaced the drive belts and it works beautifully. 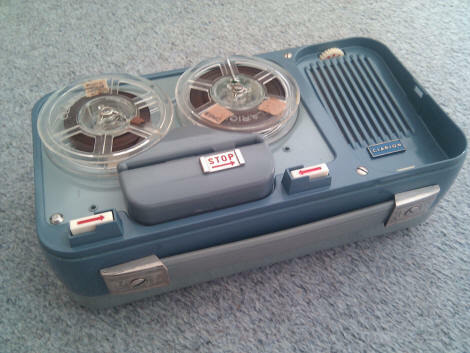 It is a four track machine and has four speeds. The Philips equivalent was the EL3549. It cost around 62 guineas in 1965. I couldn't resist this Elpico Geloso G256/E either! Also still in it's original box with instruction book. 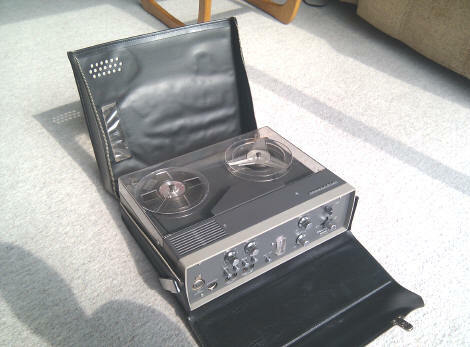 This is a Clarion portable from 1959 - pictures below. 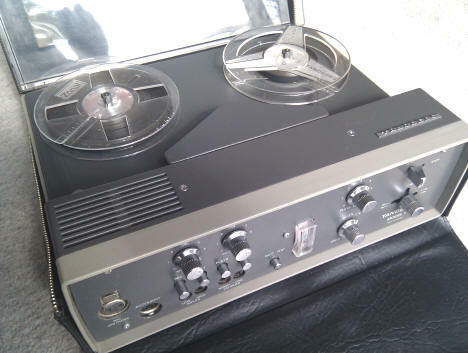 Below is a rare Tandberg Model 11 battery portable, designed to compete with the well known Uher portable machines. We are constantly adding to our collection and would be pleased to hear from you if you have a machine that you no longer require.